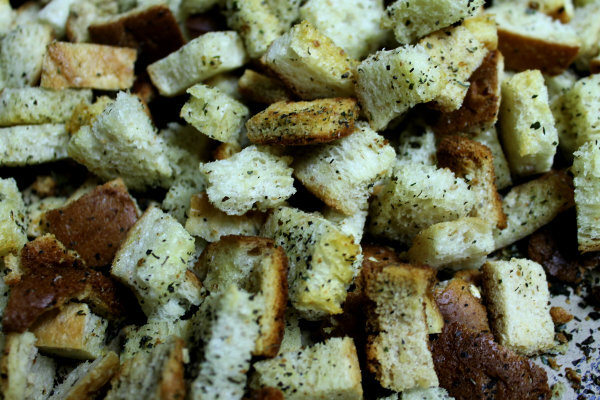 Why spend two or three dollars a box for dry tasteless croutons when you can make your own from left over bread. I save the end pieces and any left over bread and make croutons with my dried herbs (or Italian spice mix) and olive oil spray - real simple and quick! Now spray the pieces with olive oil spray. 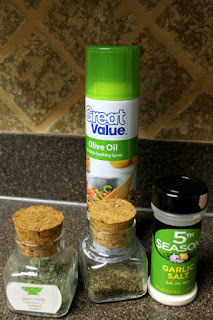 Spray is cheaper and easier than pouring messy olive oil all over the place. I use my fresh dried oregano and basil plus garlic salt but Italian spice mix will work too. I use it generously! Toss to coat well and pop into a 350 degree oven for about 20 minutes. 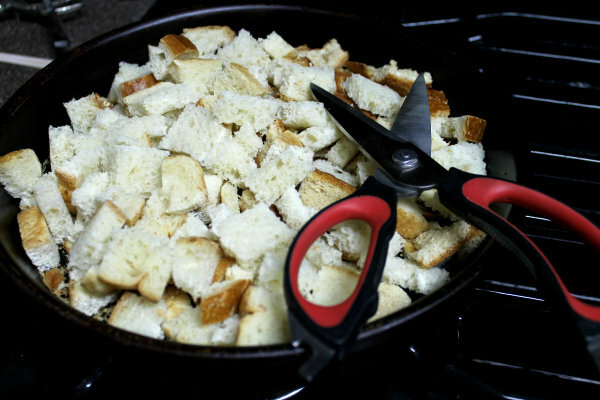 Stir the croutons about half way through.They should be golden brown and crispy when done. 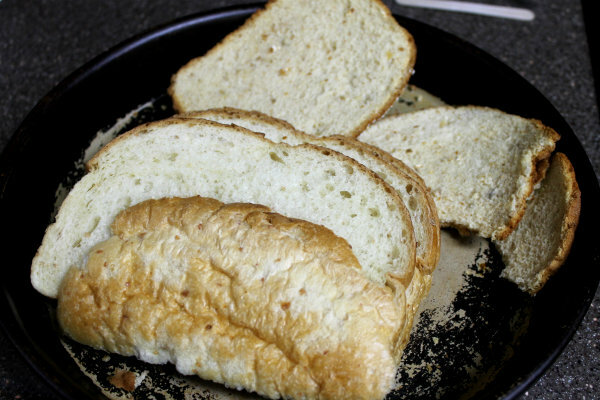 Let cool before storing in a baggie or tin. Enjoy!